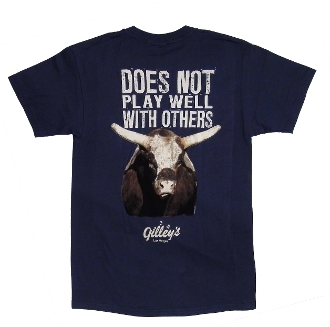 Take the bull by the horns with this Gilley's Tee. Features a small bull rider Gilley's logo on the front left corner and a large bull decal on the back stating "Does Not Play Well With Others." Perfect gift for those stubborn husbands out there!